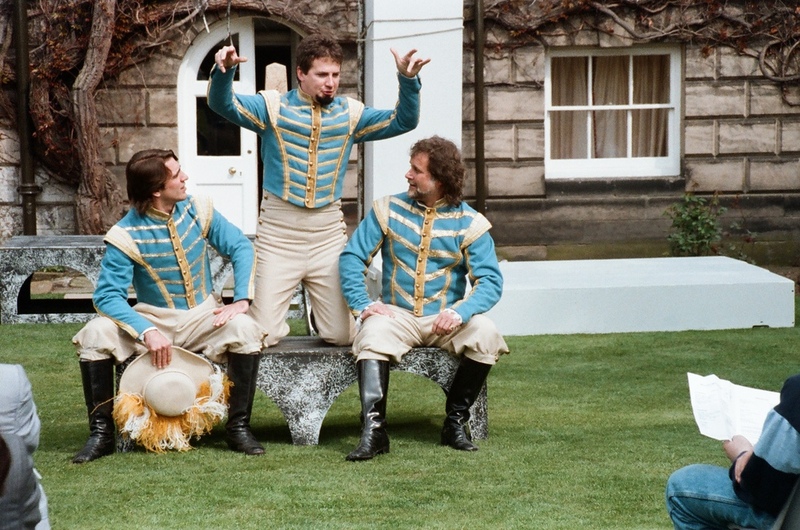 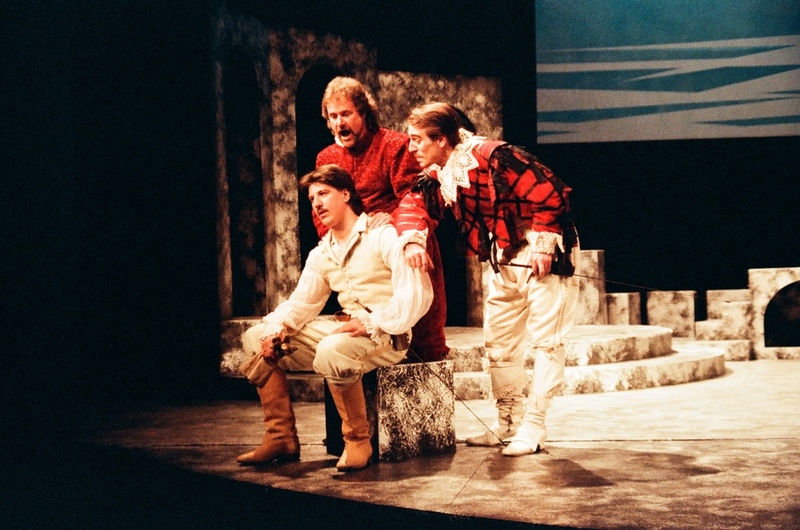 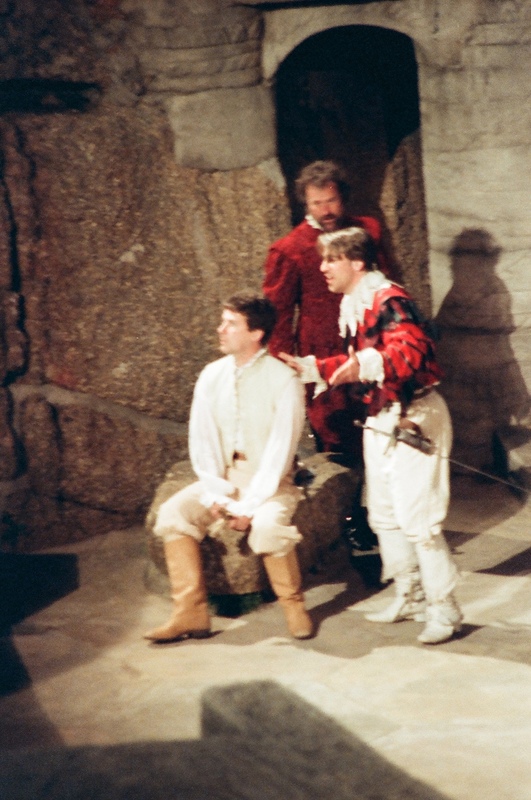 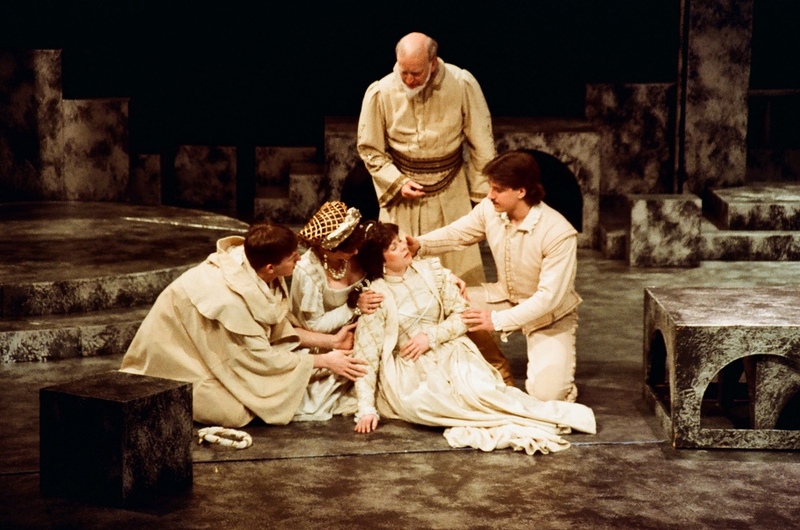 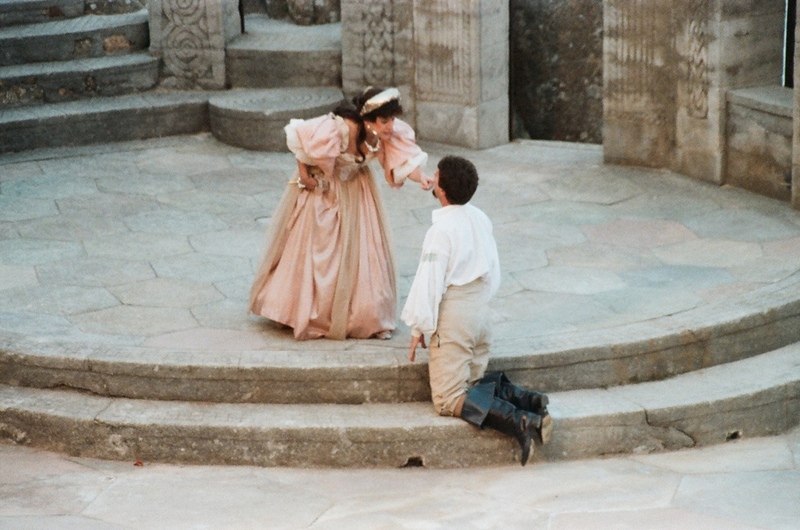 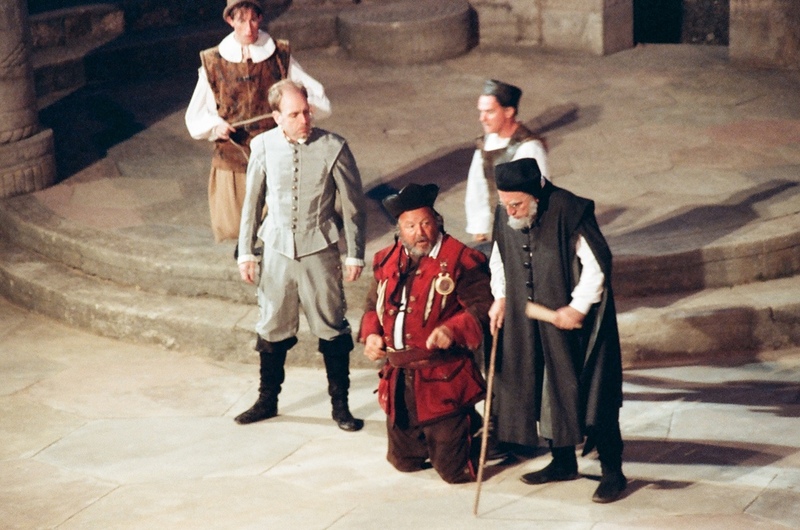 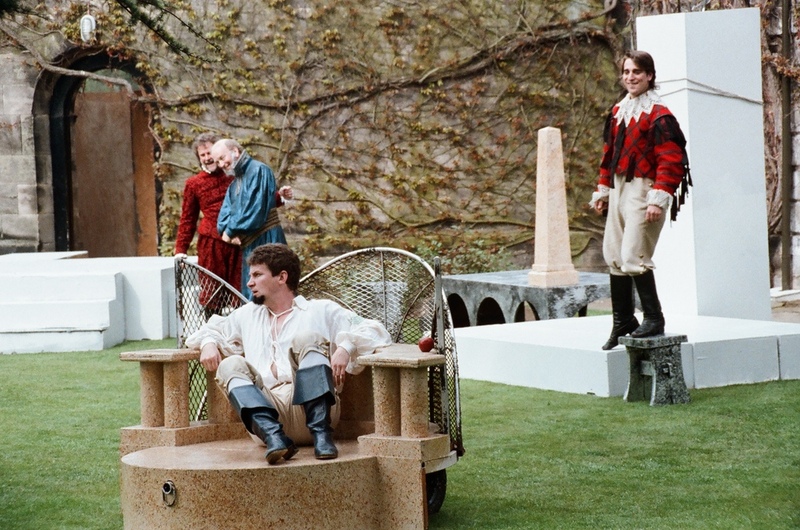 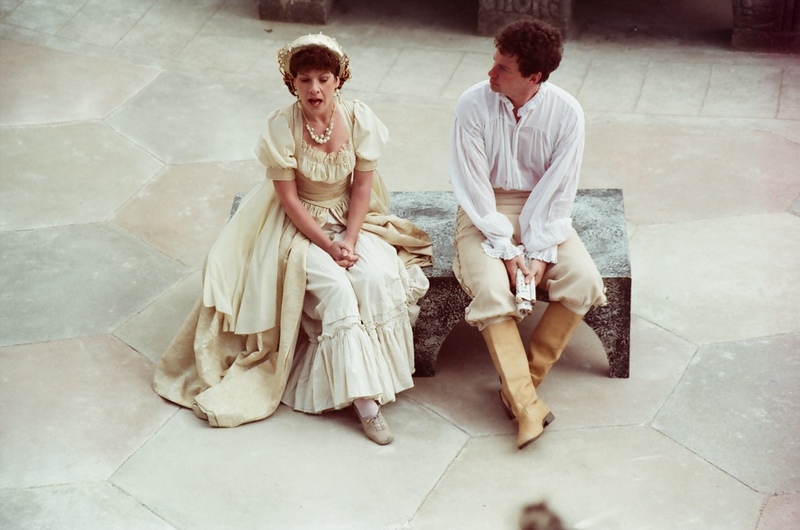 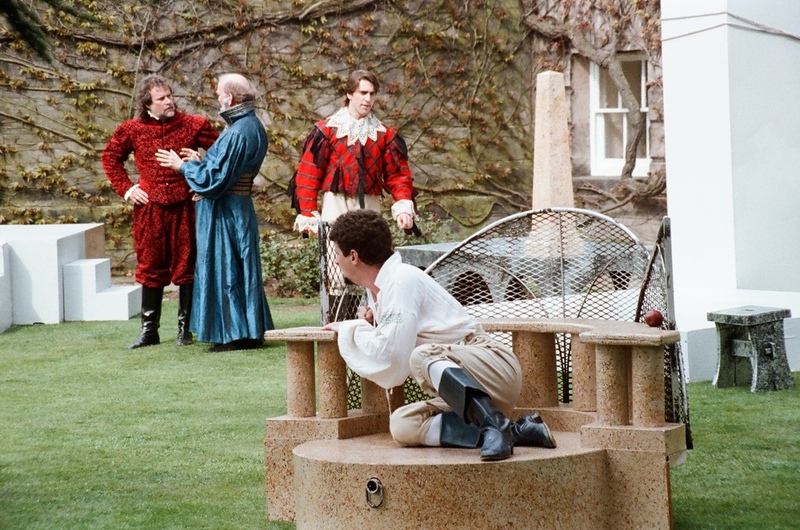 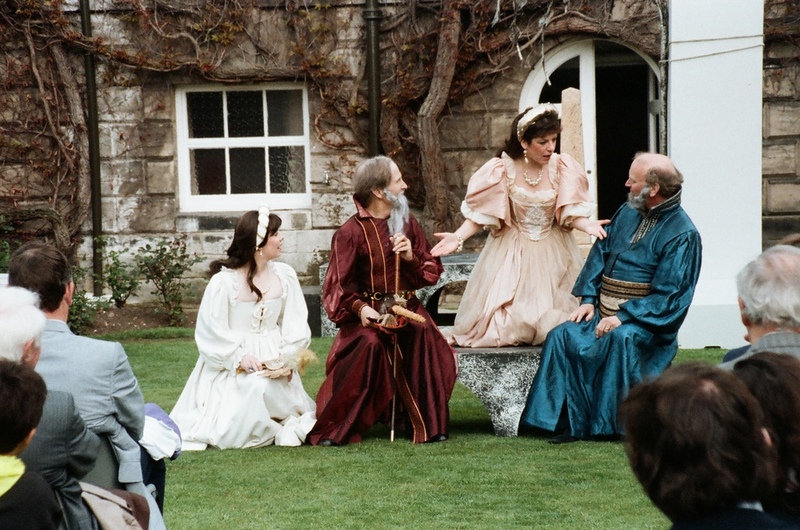 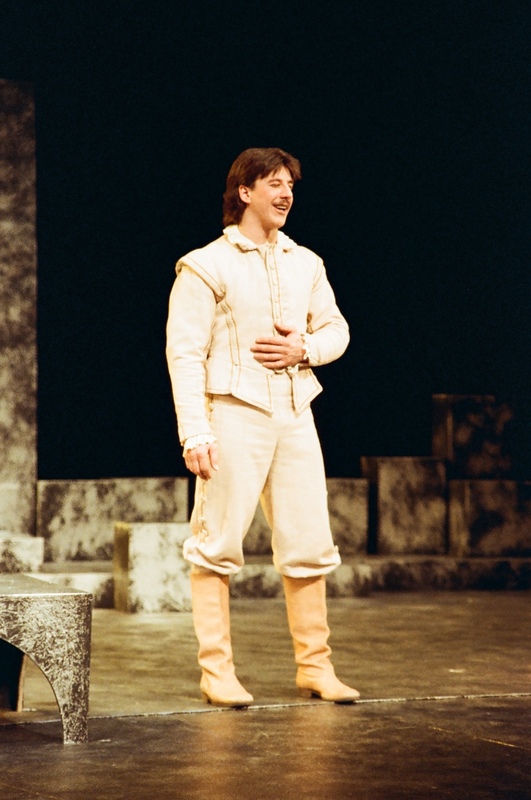 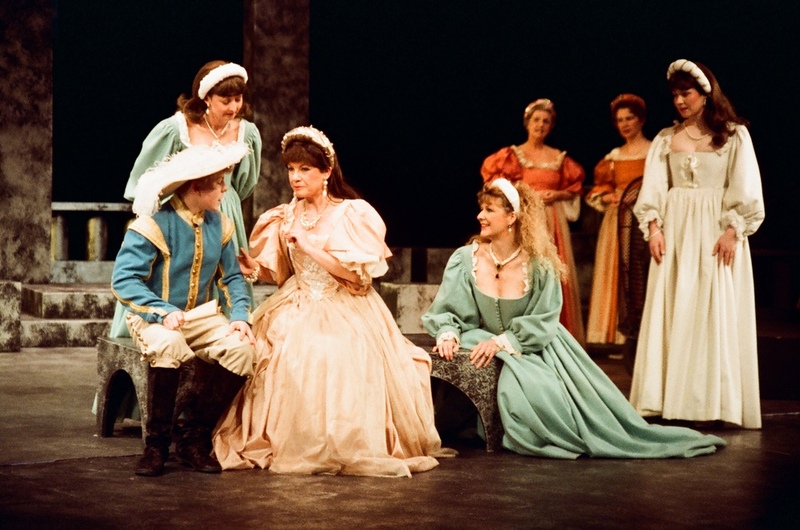 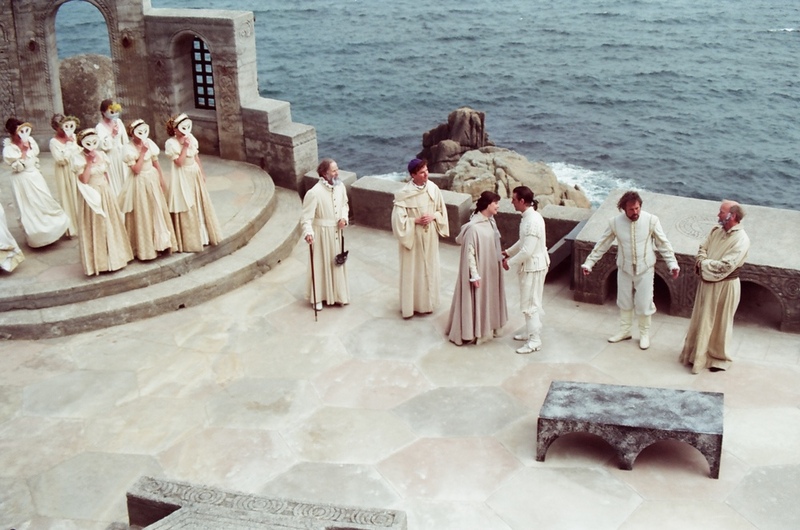 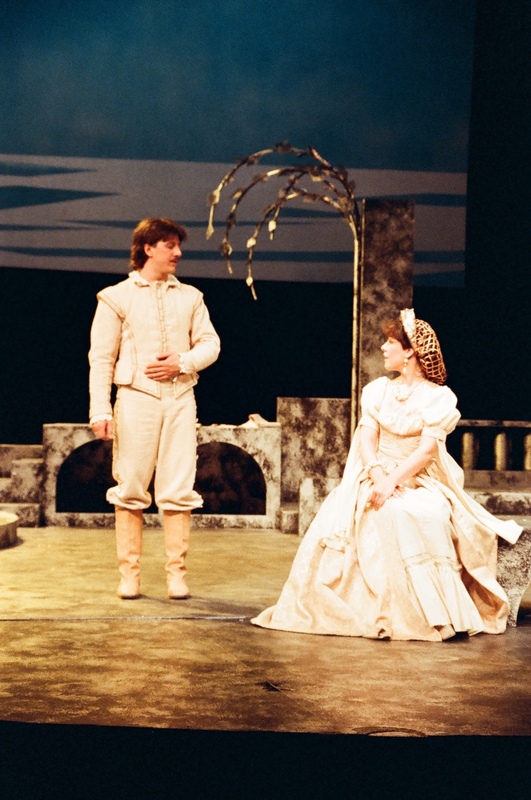 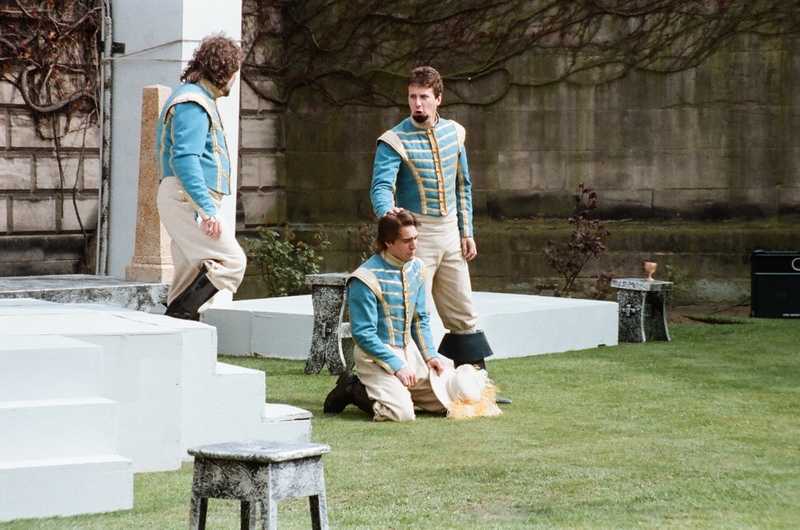 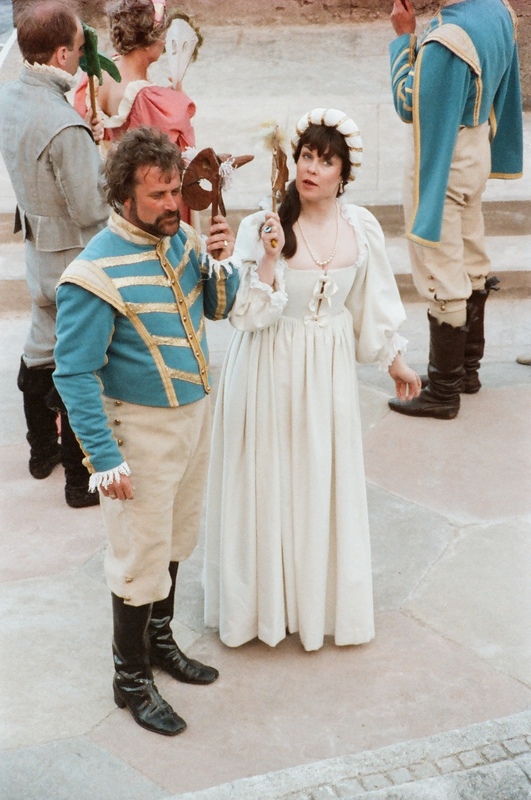 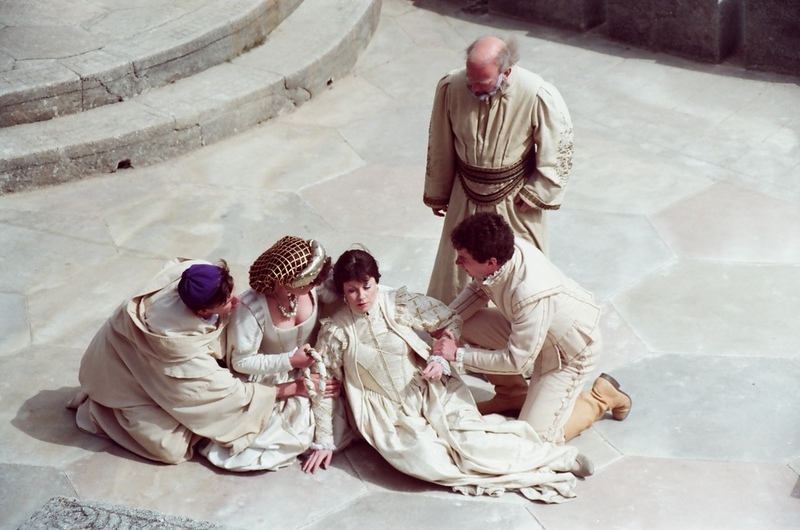 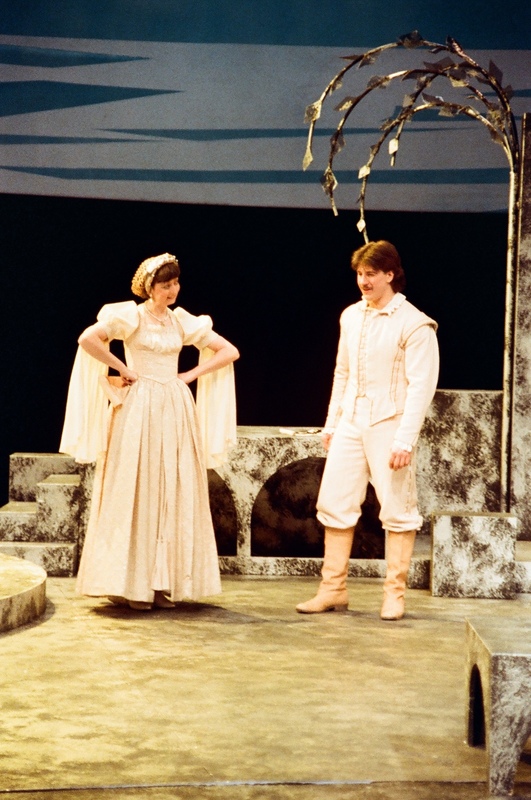 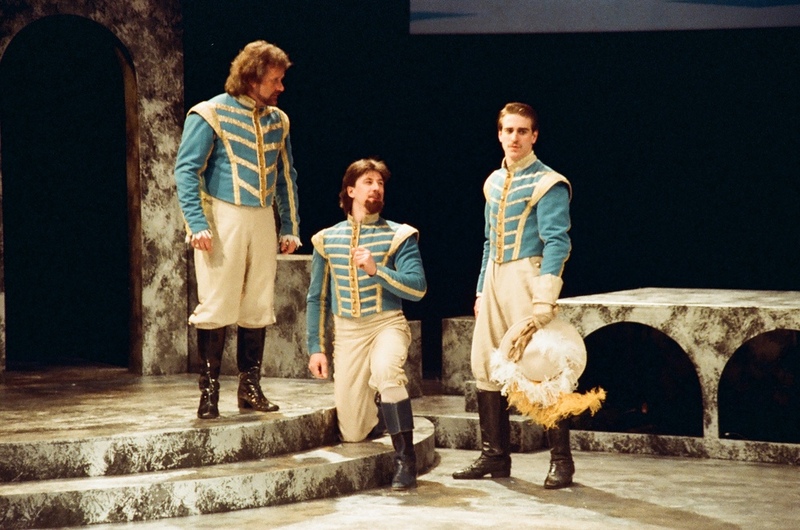 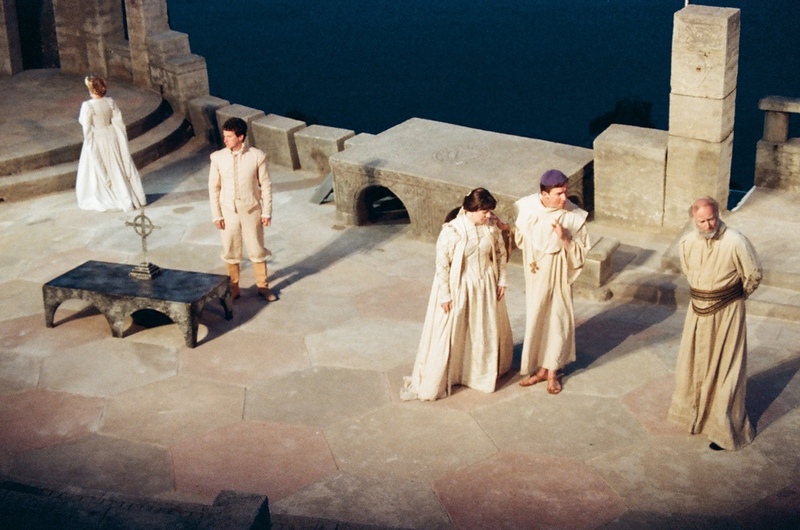 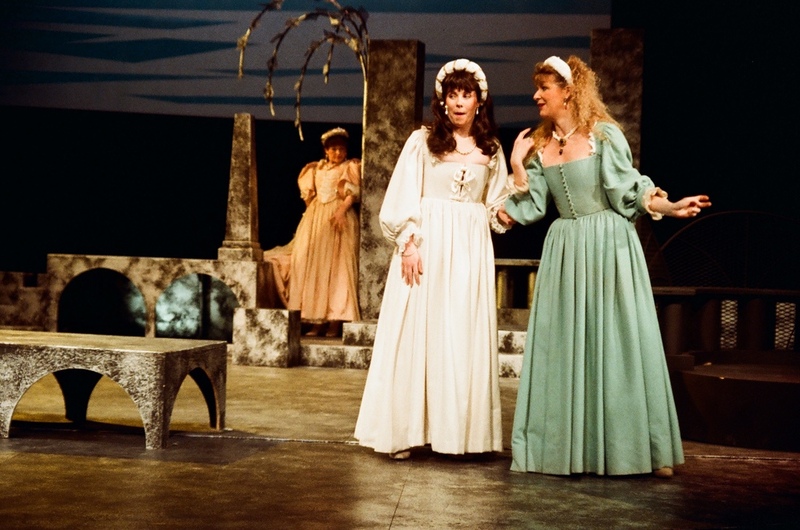 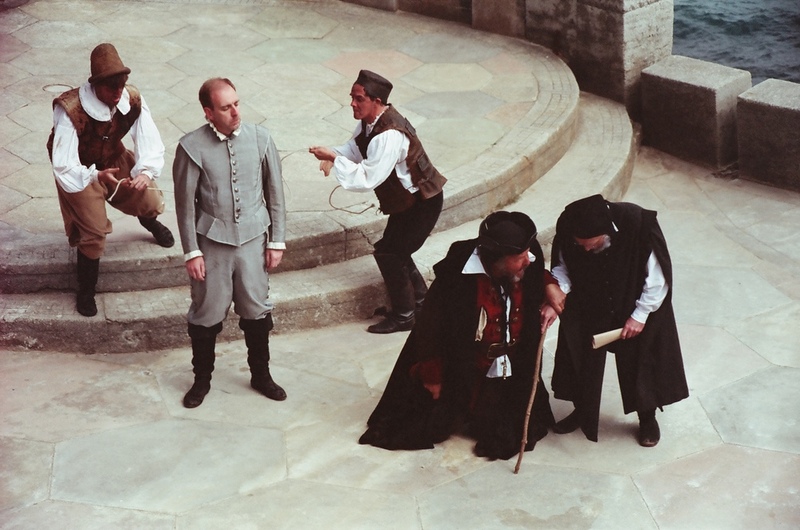 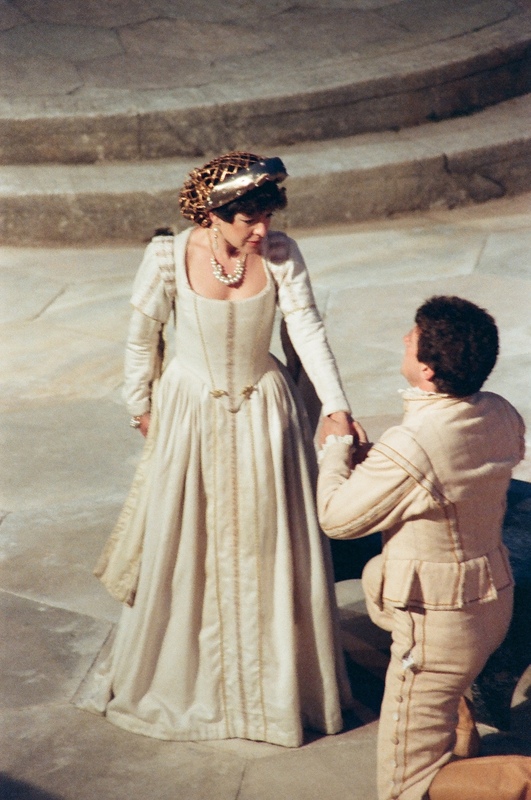 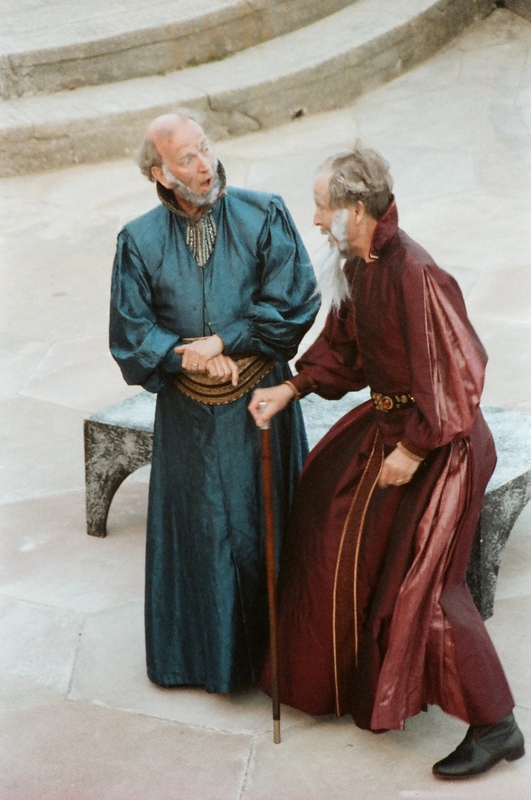 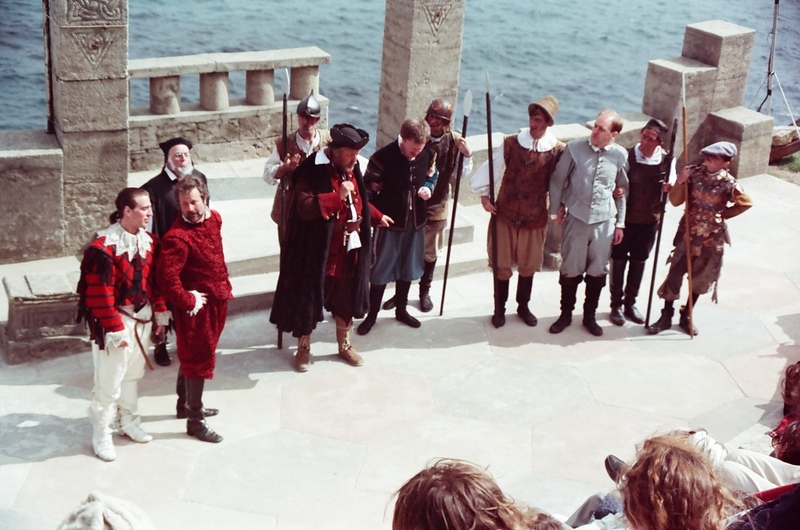 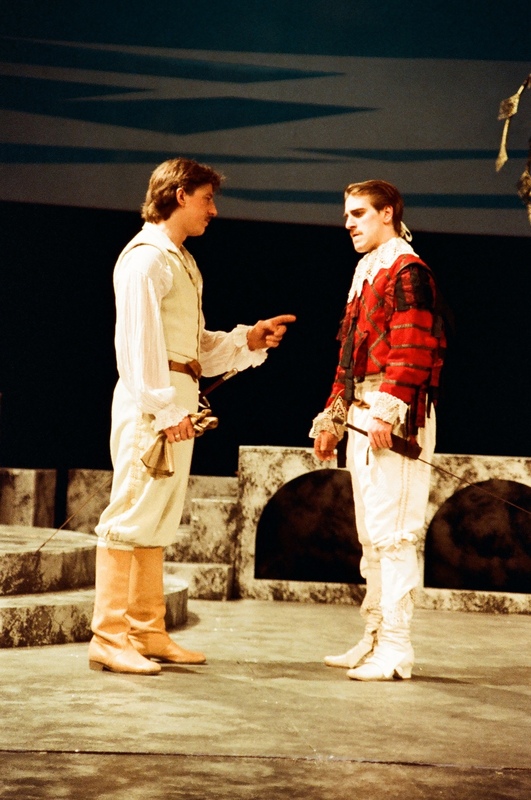 1991's 'Much Ado About Nothing' was a momentous show for us as it was our first visit to the beautiful Minack Theatre in Porthcurno, Cornwall. 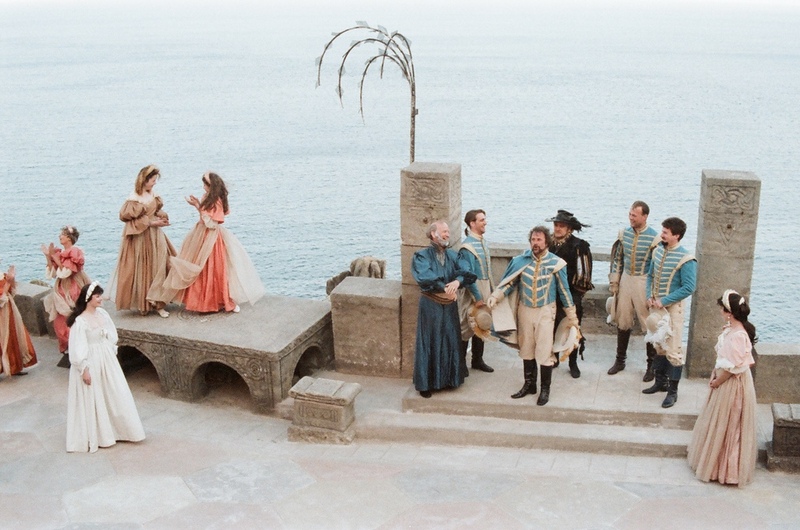 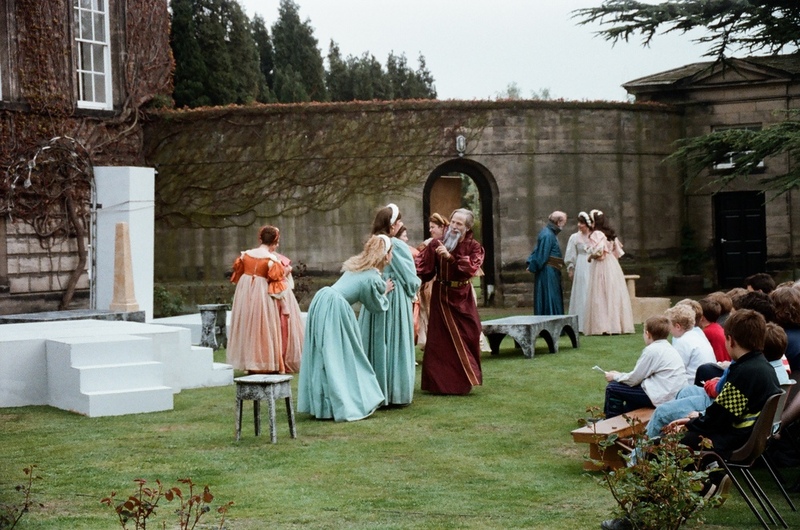 This beautiful open-air amphitheatre, close to Land's End, was the perfect setting for Mike Charlesworth's splendid production of Shakespeare's great romantic comedy and the show delighted holidaymakers who filled the theatre to see it. 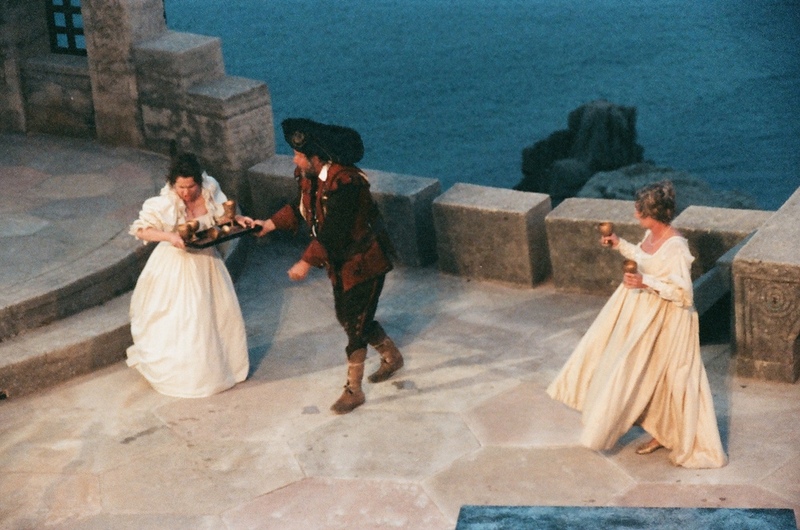 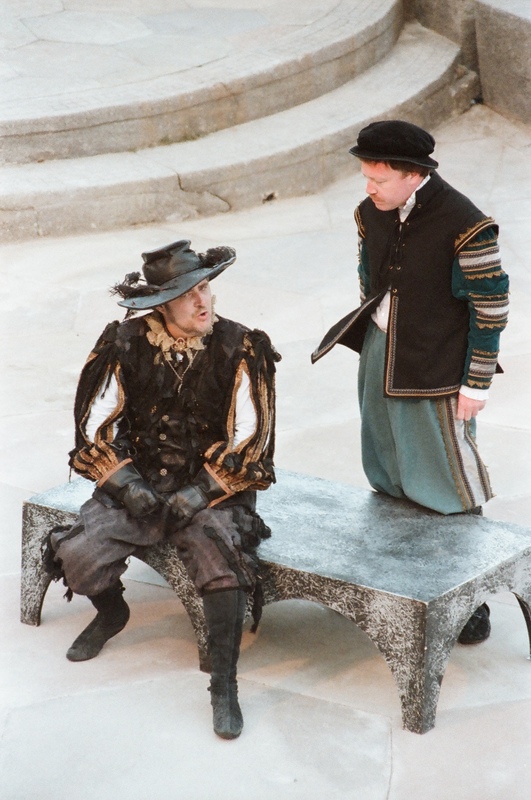 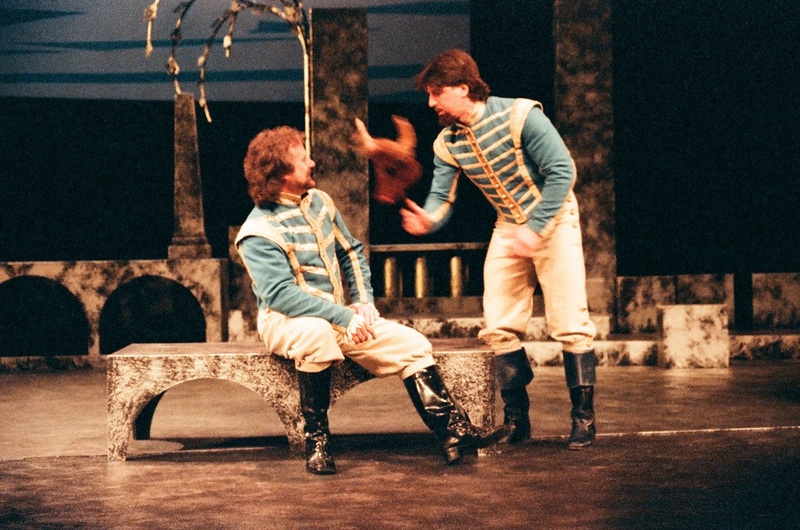 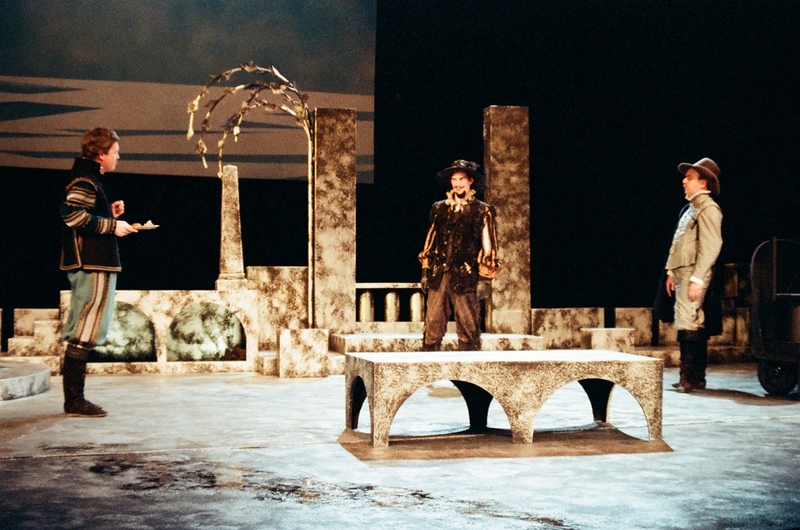 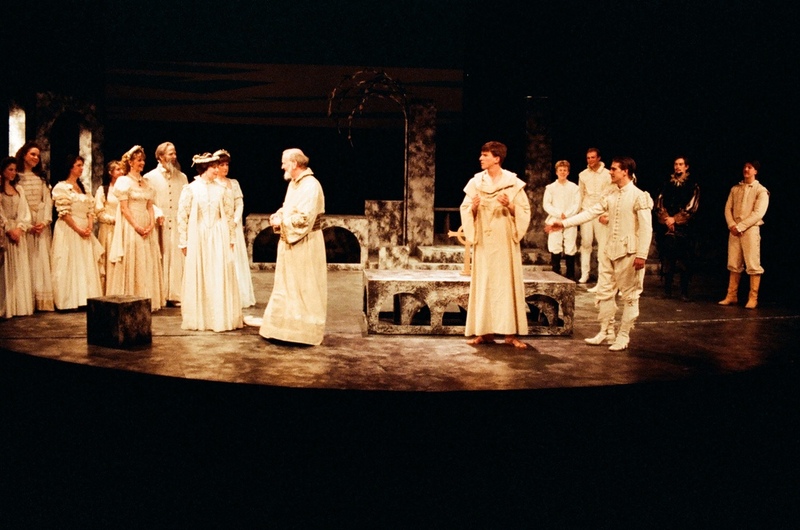 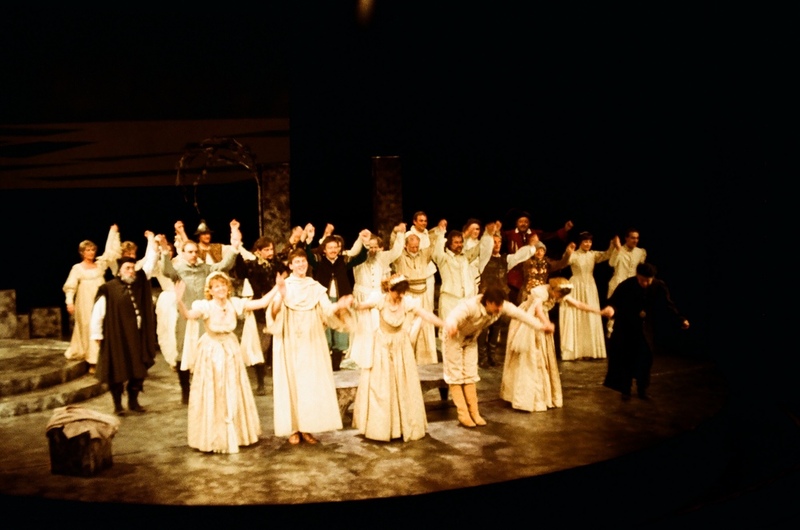 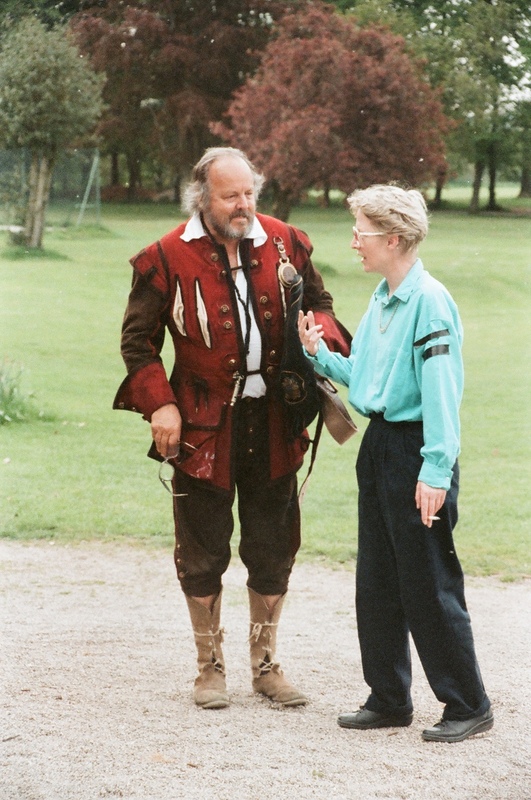 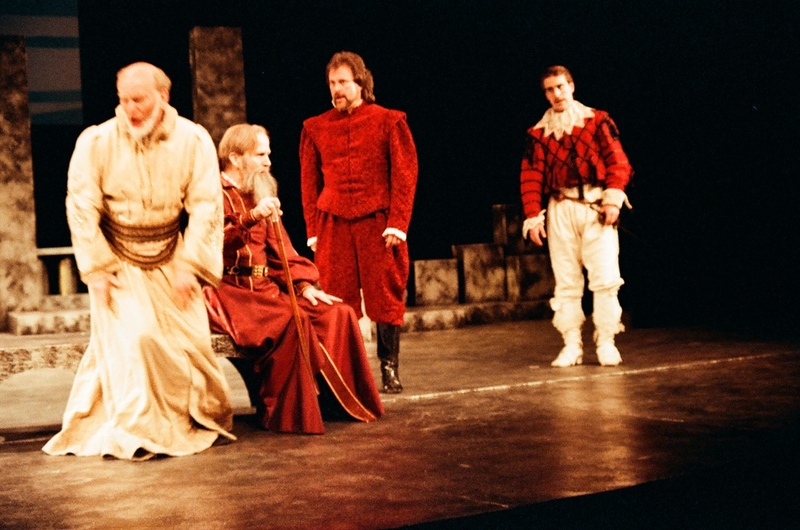 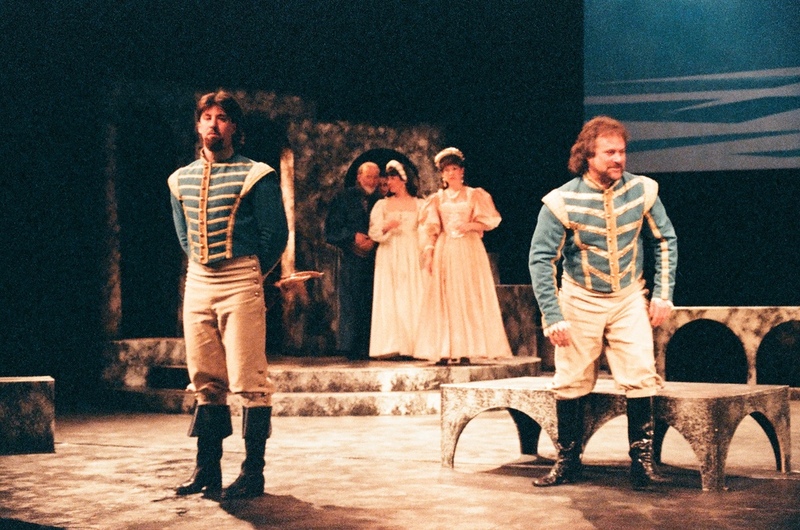 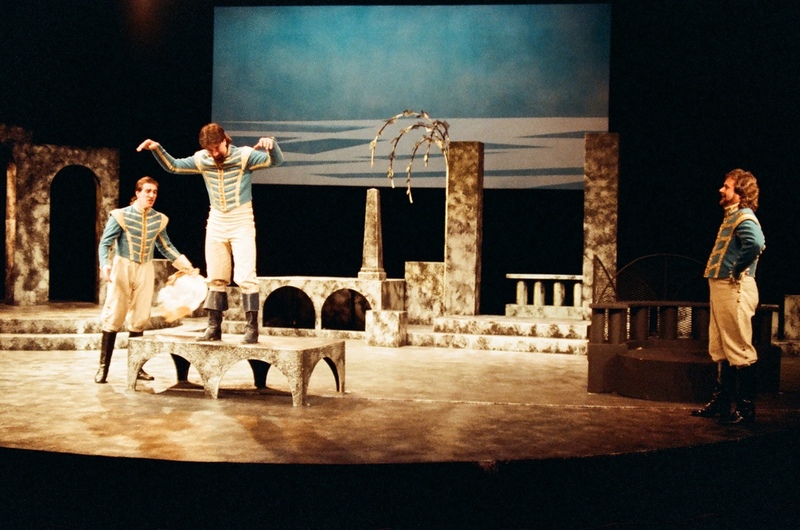 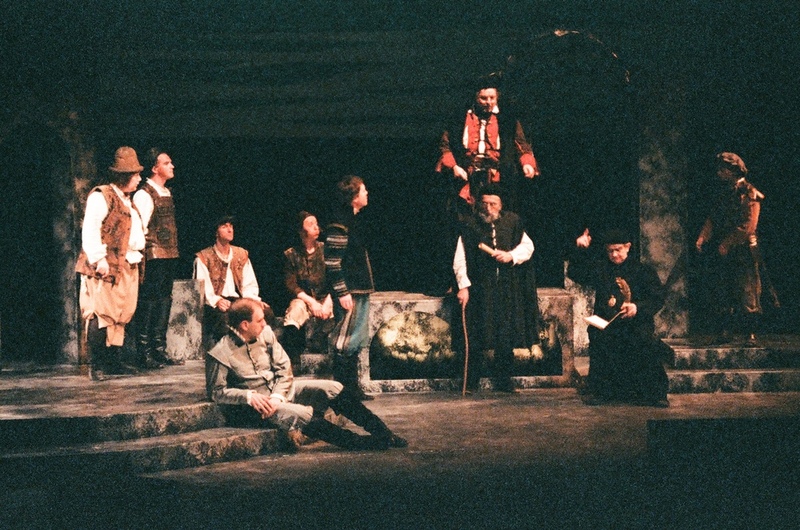 The Minack theatre operators themselves also loved the show and awarded it the coveted Minack Trophy for the best production of 1991, a feat we were delighted to repeat with a production of the same play in 2011, marking twenty years since our first performances there. 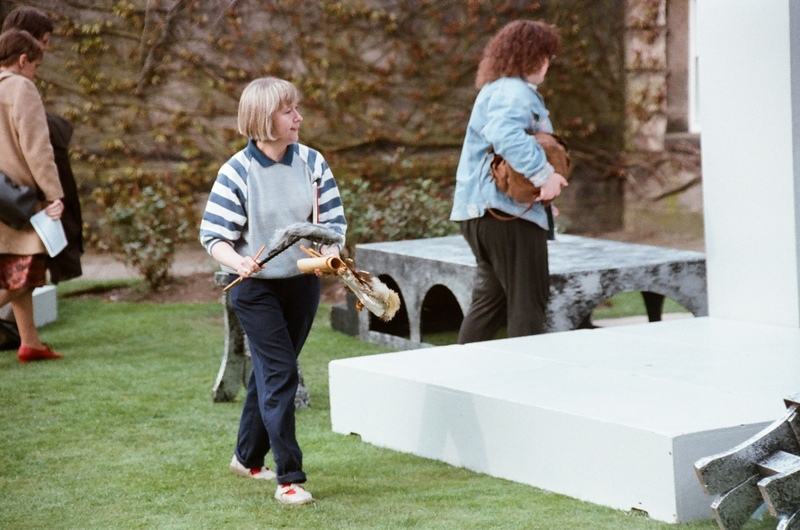 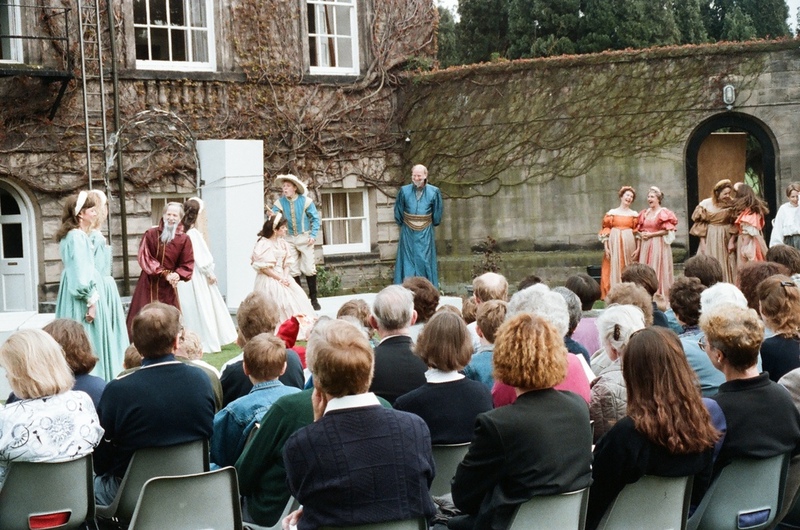 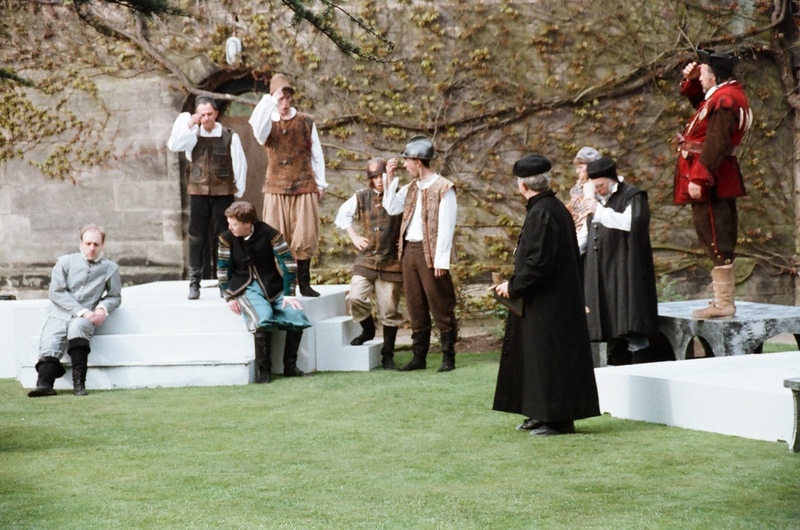 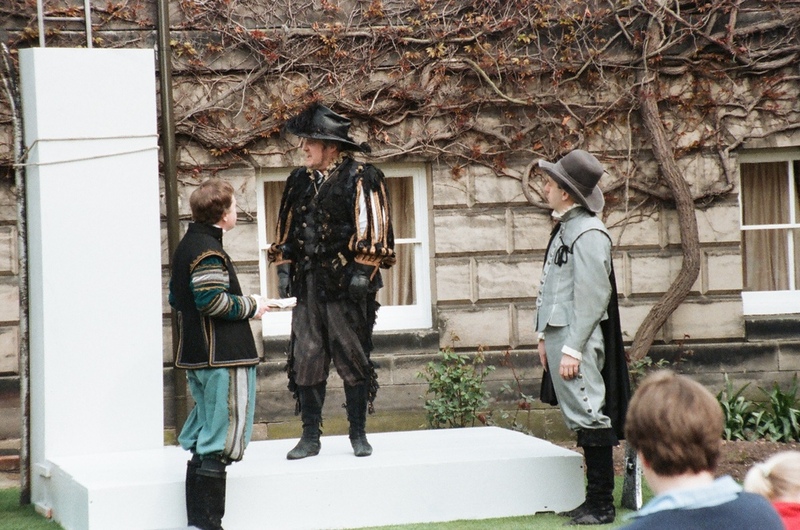 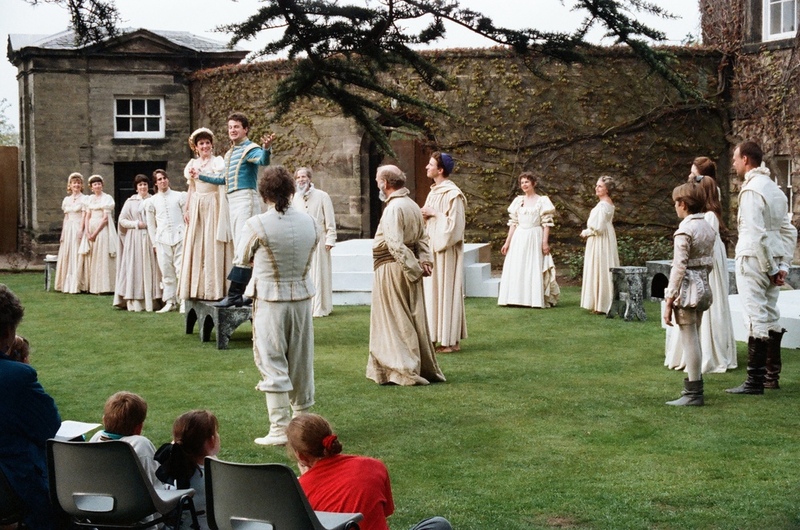 The show played closer to home at Derby Theatre and in the grounds of Repton School, proving equally popular at both venues.